This post originally appeared in the June 15, 2018 edition of the WriterHouse Newsletter. While summer is fabulous for beach reading and destination vacations, it’s also a great time to attend writing conferences. Whether you’re interested in getting started with a regional option, or you want to apply for one of the more prestigious conferences, the preparation required is similar. Plan Ahead: Some conferences, like VQR, The Writers Hotel, Bread Loaf, and Sewanee require applications. If you’re interested in the conferences listed above, 2019 applications will open in January; however, the Key West Literary Seminar is currently accepting applications. Even if you’re not interested in a conference that requires an application, planning ahead is important. Most conferences offer early-bird registration discounts and discounts on preferred hotels. And, if you ask around, you may find someone in the area looking for a roommate who can split hotel costs. Pack Smart: Beyond business casual clothes and comfy travel shoes, you’ll want to pack business cards that include your name, email address, website, and social media handles so you can exchange them with your new conference BFFs. Days can be long and travel meals costly. Pack light snacks for your conference bag. Find out if any meals are included with your conference fee. If there’s a refrigerator or microwave in your room, consider bringing breakfast items like yogurt or oatmeal so you can save a few bucks. Also, be sure to download any conference apps and join the conference Facebook pages so you stay up-to-date on conference happenings. Establish Networking Goals: One of the big payoffs for conference attendance is the ability to meet writers from other parts of the country who can share resources, serve as beta readers, and cheer you on. But let’s face it, many writers are introverts and networking can be exhausting. (Personally, my people shelf is narrow and quickly fills). Before you leave, set a conference goal to ensure you get the most out of this networking opportunity. At every conference, I try to exchange business cards with at least five attendees and talk to at least one presenter. If you have a book-length project, pitching to agents can be another great way to network. Find out if pitching is an option at any conferences you’re interested in attending and whether these opportunities require additional costs. 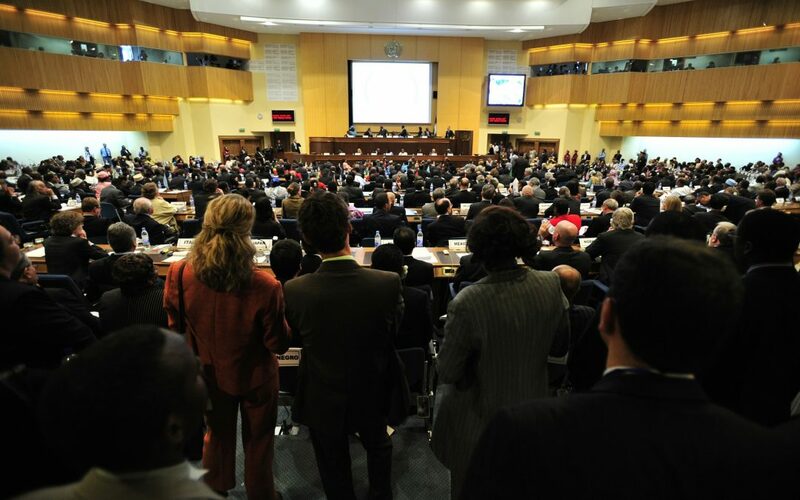 Pace Yourself: Attending a conference is like running a mini-marathon. Don’t be afraid to take breaks. If possible, stay in the conference hotel so you have easy access to your room between sessions. Study the conference schedule and decide what’s most important for this trip. For example, at one conference, it may be important to get a good night’s sleep so you can sharply answer early-morning agent questions. At another conference, stretching yourself by reading at the evening open mic may be the right option. Most conferences are annual, so you can always return if you feel like there’s something you missed. If you can’t answer yes to all three questions, consider whether a genre-specific conference or a more challenging option is a better fit. For a complete list of conferences, check out the AWP website.